Color Theme Gift Sets For Anyone and Everyone! Get one as a gift or just for you! These make great gift ideas for all types of celebrations. These gift sets include high-quality, nontoxic products that are sure to please. Color sets are available in multiple variations and color choices. 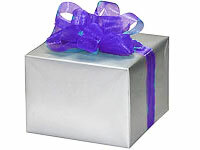 All gift sets are packaged in a white gift box with a bow, and the color of the bow may vary with each set. If gift wrap is desired, it must be purchased separately for an additional charge. If you cannot find a gift set that suits your needs, you may personalize one by selecting products of your choice and adding gift wrap or creating a basket. Add Gift Wrap to Your Set!